My creative muse just so happens to be my partner in life & girlfriend Paige. With her own incredible creative ventures constantly on the go, we have the unique ability to be able to create and work together quite a lot - photographing and styling various projects and dreaming up new ones. Head over to her BLOG to see her personal take on this set of images. Personally, these photo shoots are a constant creative challenge that has a sense of reckless abandon to them because I am creating this content with someone that both continually inspires me plus allows me a creative outlet for my niche - photography. Whether the photo shoot is Paige's brain child or mine, I cherish the time to photograph a consistent subject matter, which in turn challenges me to create visually different images, whether through exposure, editing or concept. 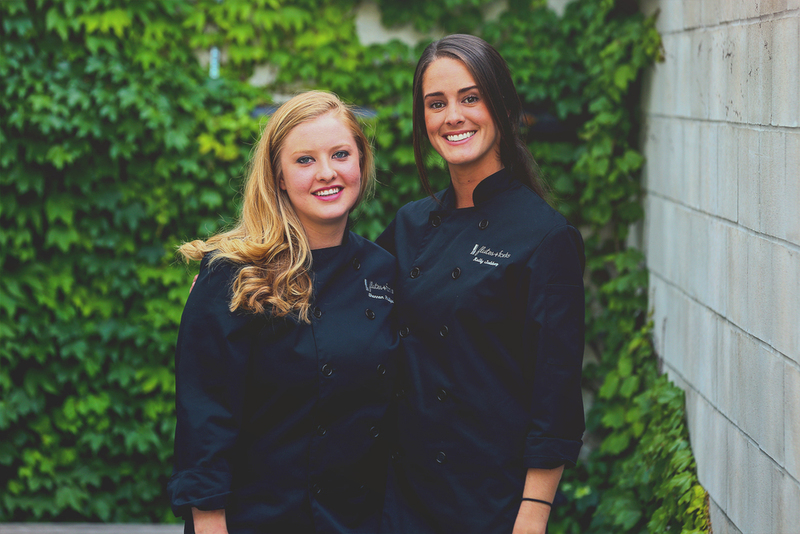 Flutes & Forks has officially launched as one of Toronto's newest boutique catering companies - composed of 2 co-owners Shannon (L) & Kelly (R), these two are doing everything right - seasonal menus, local ingredients & a deep passion for their craft. With the launch of their website a few months ago & a few steady bookings, Flutes & Forks quietly entered into a quasi-soft launch but as of June 13, Flutes & Forks has officially announced their company with an incredible launch party at Album Studios. I collaborated with Shannon & Kelly a little while ago to photograph a portion of their dishes & delicious treats that they offer - providing content for their website & promotional material. Check the website out HERE when you have a minute. If you have ever considered having couples cooking lessons, group cooking lessons, maybe you want to host a dinner party and have pros do the cooking, regardless of the culinary situation, give Flutes & Forks a go - your guests will thank-you later. Quinn & Ethan, for the past 4+ years I have known them, have, of a few, consistently pitched their incredible concepts to me & then creatively handed over the reigns. Quinn & Ethan come from a deep & intricate musical background, with their sound today refined by not only sounds locally but their deep understanding into their creative end game. Between these 3 musicians are 2 separate creative entities: VIEBS which consists of all 3 members and Crystal headlining & JAPAIN which is the brothers that are Ethan(L) & Quinn(R). These are a few promotional images I photographed to promote their upcoming releases & creative ventures for the Summer.